Encouraging more schools to grow fruit and vegetables. Children in more than half our secondary schools are missing out because they don’t grow their own fruit and veg according to a group of experts including a celebrity gardener, an international sportsman and a national supermarket. The group have come together to encourage more schools to grow fruit and vegetables. The Food Growing in Schools Task Force is led by Garden Organic and includes Blue Peter gardener Chris Collins, former England rugby union captain Lawrence Dallaglio, The Sun’s gardening correspondent Peter Seabrook, the Royal Horticultural Society, the Women’s Institute, and Morrison’s supermarket. Research shows that more than 96 per cent of children are not eating enough fruit and vegetables and that children in schools which grow food eat more than one and a half more of their five-a-day than other school children. “With fewer than half of our secondary schools involved in growing schemes, our children are missing out on a growth opportunity. The Task Force will look at schools that are already running successful growing schemes and find out what’s preventing other schools following their lead. 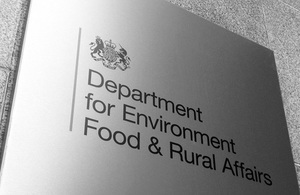 Defra-funded research will back the Task Force with evidence on the ways that growing food can benefit children. More information and a full list of Task Force members is available at: www.gardenorganic.org.uk/foodgrowinginschools. Over 96 per cent of children do not eat the recommended levels of fruit and vegetables (NDNS report 2000). A 2010 report for the Royal Horticultural Society found that vegetable intake was almost one serving per day greater in schools with a growing food curriculum, and combined fruit and vegetable consumption increased by one and a half servings. In 2010 the Children’s Food Campaign produced a manifesto entitled ‘Every School a Food Growing School’, listing the wide range of potential benefits from food growing in schools and calling for a Task Force of experts to find ways to enable every school to be a food growing school.